It’s 1969. I’m 16 and living on a commune. One minute history lesson: A collective dream was shared for a very short period in the mid 60s. Then people decided to live what they thought might be a more creative and authentic existence. When political turmoil led to the murder of leaders who called for change and justice, the shock caused some to try to simplify life and get back to the country. If you have not read his poetic masterpiece of creative nonfiction, get thee to a bookstore! There must have been hundreds of “farms” all over the country. On “The Farm” down in the clean-dirt desert we lived very simply. Young men and women gatherd to throw off the rules with which their parents had saddled them. They adopted new, old ways — pooled resources, free love, herbal remedies, gardening, goat’s milk, fresh eggs, home-baked bread and the peppermint cleanse of Dr. Bronner’s liquid soap. 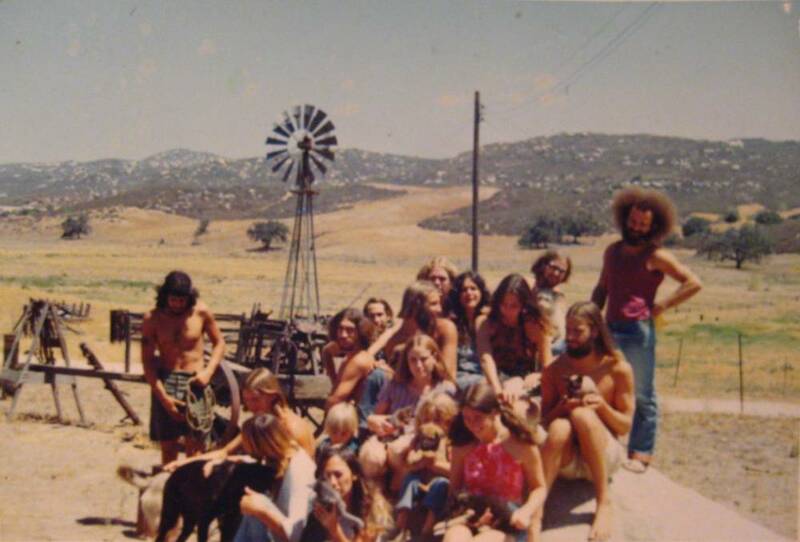 The commune dwellers on “The Farm” where I lived were bright and energetic. They possessed an adventurous, questioning spirit. They were all older than I and they had been to college. 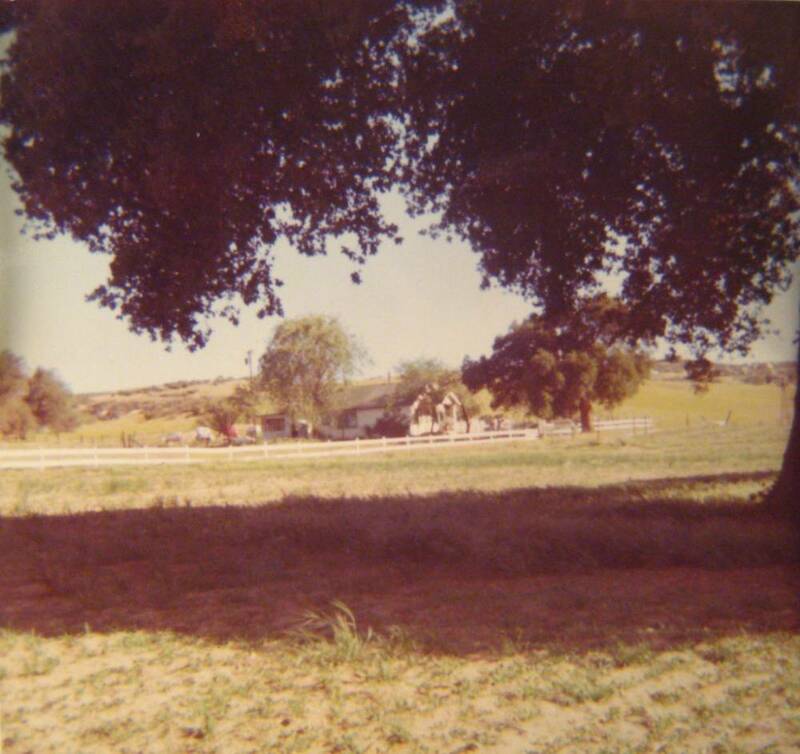 Kathy from Ohio had grandparents who retired to the California desert so it was she who found this particular farm. She and her east coast college friends came west and tried to create an unfettered, free and loving environment. Back in Orange County, I spent a childhood filling my head with romantic, glamourized visions received from Hollywood films of the 30s and 40s. Leaving behind the television and replacing that cultural input with other people and their cool records was very good experience. I’d been a gifted child but my befuddled grandparents did not know what to make of it. In our house we had cheap mass-market astrology texts and endless piles of movie magazines. The bookmobile came by each week. I borrowed books written in the 30’s by Helen Dore Boylston, a series about a woman who becomes a nurse. In those formative years I learned everything from the media — TV, movies and radio– and from the lyrics of songwriters. I guess that explains a few things doesn’ t it? I was a natural autodidact. I soaked up everything around me and went looking for more, more, more. What I learned in my one year of high school was that smart, creative nonconformists are ostrasized. It is a rude adolescent melting pot, not a place for the sensitive. 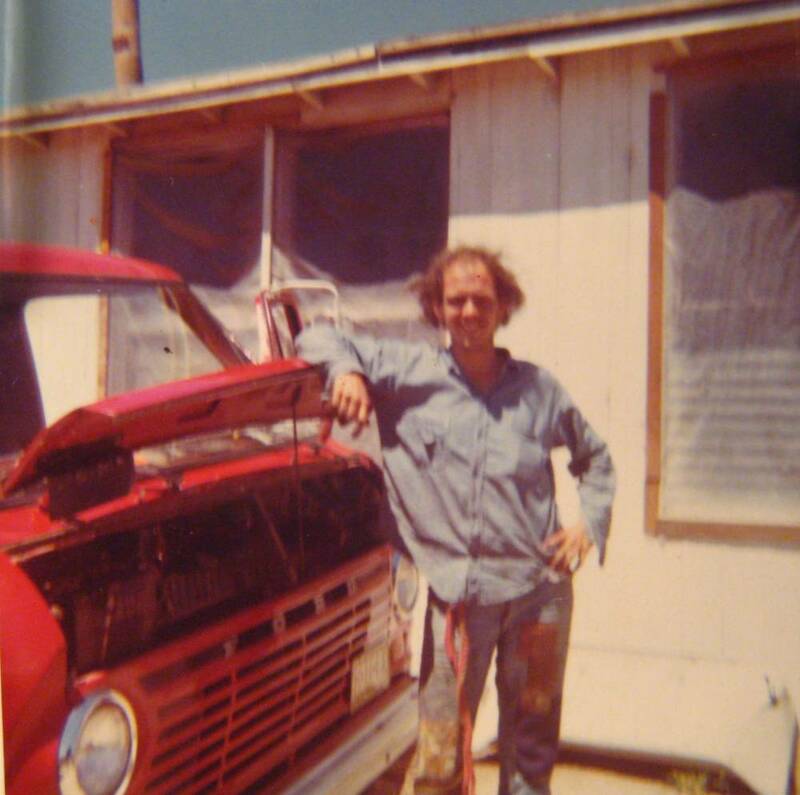 The young man beside the red van was called, Ed, Red Van. On the Farm we had descriptive nicknames for people. This prevented confusion and helped everyone easily pinpoint someone being discussed. He was a Virgo and had the group’s most commendable work ethic. He organized the men into a work-for-trade unit and took them out into the community to mend fences, build and repair things. He organized the selling or trading of our homemade bread to “straight” people in the community. It was good PR. 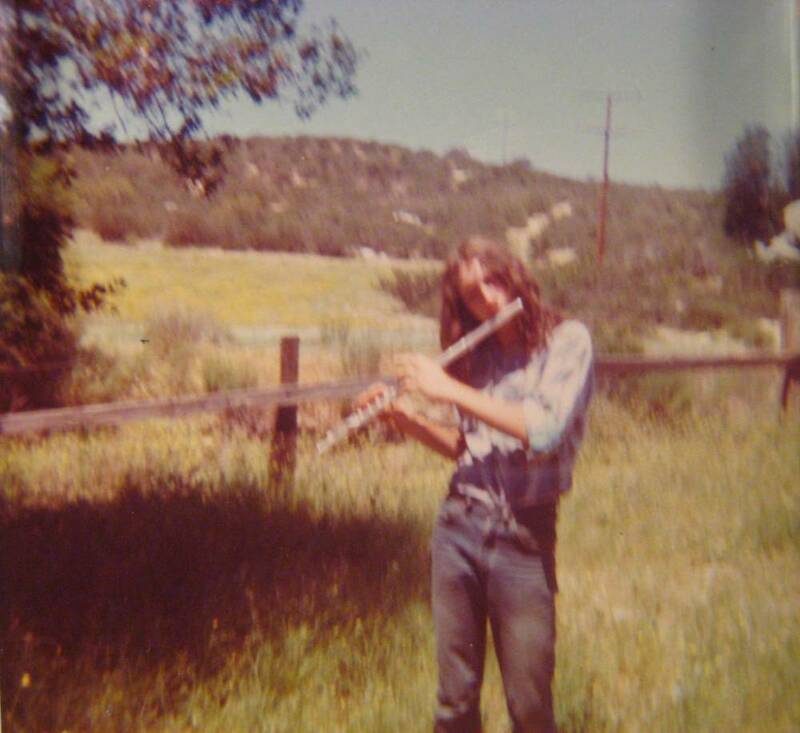 Flute John was from Massachusetts. He was an Aries. Young and still growing out of his adolescent clunkiness. He didn’t say much and didn’t stay with us long. 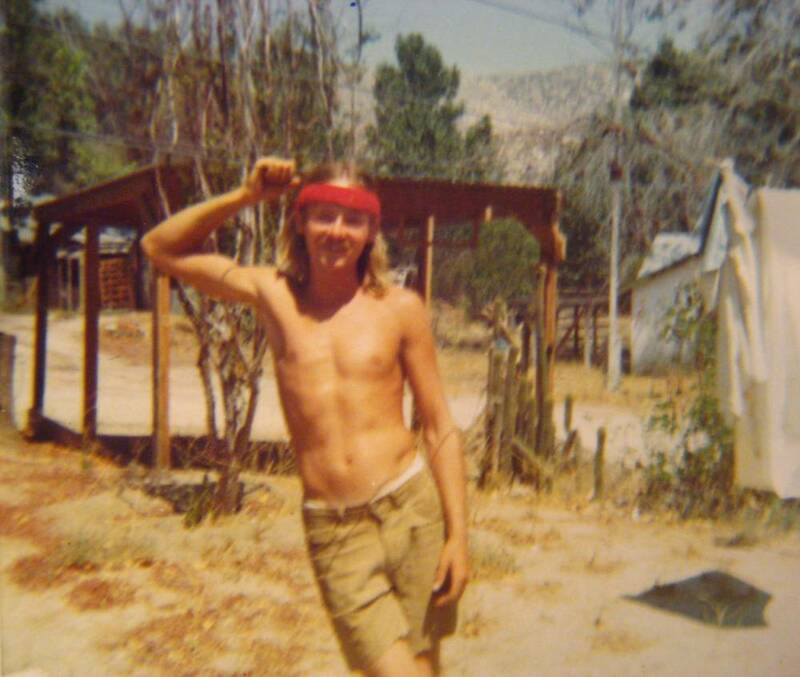 Jerry, in the red headband, actually lived in Aguanga, the nearest little town to Sage. He was identified by being linked with his sister Sue. A very sweet and sensitive Cancerian soul, he was AWOL and hiding out. He had been drafted and was determined to avoid being sent to Vietnam. He didn’t go to college. 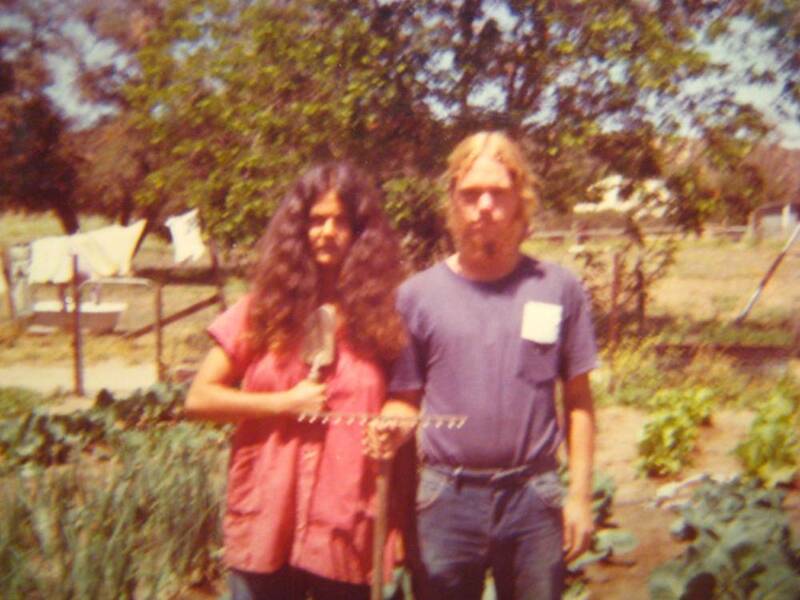 Alice Marquez (the woman who resembled Paramahansa Yogananda) and Bill Lashbrook in the garden doing the American Gothic pose. Alice, the Aquarius, was a uniter of all levels, types and classes of people. She was uber friendly, bright and accepting. So, she was just Alice and everyone knew her. Bill was very shy and had the sweetest dog, a chocolate lab named Cocoa. He and the dog were the mellow squad. Alice checked out everybody’s action and finally settled into a domestic partnership with Bill. They became, then, AliceandBill. Alice called me masa harina. In Spanish it is corn flour, the dough that tortillas are made of and sounds like masarina when the vowels are run together. Alice’s family owned a Mexican bakery in Santa Paula. I don’t know why she called me that but I assumed it was an affectionate nickname. It could have easily been a reference to my soft, bland, innocence. I would change. Words were magic, charged with romance and a little mystery that enhanced our newbie self-identities. At this point, I believe Leonard Cohen, was my English teacher. On quiet days I would sit alone in the white farm house and listen to this record.